Two weeks before my oldest cousin’s twenty-third birthday, he shot and killed himself. It scarred our family. The kind of jagged, gnarled scar, like a poorly-filled pothole, that—even though it’s been nearly twenty years—you still run your fingers across from time to time and feel the sting of a fresh wound. We weren’t all that close, but as a 14-year-old, sorting through my own perceptions of self-worth and fears about the future at the time of his death, I felt it very deeply. It was the first time a loved one of mine had committed suicide, but it would not be the last. Not even close. I want to talk about guns. It’s controversial, fraught with partisan politics, and the conversation always seems to focus on the fringe issues. We argue about whether we need armed employees at schools or campus gun bans, but the number of deaths from school shootings is very, very small compared to the total number of gun-related deaths (although we all believe the number should be zero). We argue about ways to fix the mental health care system so we keep guns out of the wrong hands, but the connection between mental illness and violence is weak (although we all believe the mental health care system absolutely needs improvement). Those are not the issues I want to talk about (today, at least). Personal experience always trumps rhetoric, so for me, when I think about guns, it is suicide and its impact on families and communities that weighs on my mind. Unlike the other gun issues we debate, this one is, statistically, the biggest issue related to guns in the US: Americans are far more likely to kill themselves than each other. In 2012, nearly two-thirds of all firearm deaths were suicides, and the number is rising. In fact, firearm homicides have been decreasing since 2006, despite the proliferation of media attention the issue is currently receiving. Suicide is unquestionably a mental health problem, and an especially big problem in western states like Colorado. But it’s a gun problem, too. Of all those who attempt suicide, 9% die; of those who attempt suicide with a gun, 85% die. 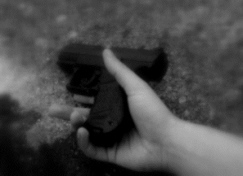 According to the CDC, more than half of suicide deaths involved firearms—over 21,000 in 2013. That’s about the same as the number of deaths from Leukemia each year, and at that scale, it’s hard to deny that guns are a public health issue. Furthermore, the hard truth is that simply having a firearm in your house increases the likelihood of death by suicide for every member of your household, in the same way that smoking around your family increases everyone’s chances of dying from lung cancer. Without banning cigarettes and shutting down manufacturers, we’ve still managed to significantly reduce their negative effects on the general population. If we’re willing to have a thoughtful, civil discussion around how we limit exposure of vulnerable populations to guns, one that recognizes that there isn’t a single solution, but that we need a multi-faceted, commonsense approach, then we can make progress on this issue, too. I want our leaders and our country to keep talking about guns, because we haven’t found our common ground yet. I want our communities to talk about public safety, crime, and individual liberties, but not let fear guide our policymaking. And, I want us all to talk about the lives that are at stake, and the loved ones we’ve lost. Suicide has always been a taboo way to die—a cause of death that’s quietly left out of obituaries—and access to a gun facilitates it. The human cost of our silence is too great; so let’s talk about it. For David, and all the others.